JOHANESBURG, SOUTH AFRICA, April 28, 2017 /EINPresswire.com/ — MMC Norilsk Nickel Group (hereinafter “Norilsk Nickel”) has served notice that it intends to commence legal proceedings in Botswana against the Government of Botswana in respect of its involvement in the reckless trading of BCL Limited and BCL Investments Proprietary Limited (together “BCL”), with a view of recovering the USD 271 million plus damages and other costs that are owed to Norilsk Nickel in relation to the sale of a 50% interest in the Nkomati mine in South Africa (“the Nkomati deal”) and the USD 6.4 million that are owed to Norilsk Nickel in relation to the sale of the Tati mine in Botswana. The Government of Botswana is the ultimate shareholder of BCL through its corporate vehicle MDCB. The notice was served under section 4 of the State Proceedings (Civil Actions by or against Government or Public Officers) Act on the Attorney General of Botswana, the Minister of Mineral Resources, Green Technology and Energy Security, and the Minister of Finance. Norilsk Nickel agreed in October 2014 to sell their operations in Africa to BCL for a total price of USD 337 million, though that amount was later reduced when Norilsk Nickel agreed to price concessions requested by BCL and the Government. The Nkomati deal was designed to guarantee long-term future of BCL’s operations by securing the supply of concentrate to its smelter in Selebi Phikwe, Botswana. Although BCL became obliged to buy Nkomati on 13 September 2016, BCL and the Government have made no attempts to complete the deal, in clear breach of the agreement with Norilsk Nickel. In October 2016, Norilsk Nickel learned through the media that BCL had been placed by the Government into provisional liquidation in an apparent attempt to avoid its obligations towards Norilsk Nickel. Since then Norilsk Nickel has tried on numerous occasions, and through numerous channels, to reach a satisfactory and amicable resolution, but none has been forthcoming. Norilsk Nickel has therefore been left with no other option but to pursue a resolution through legal channels. In addition to the Government taking and being involved in material decisions in relation to the management of BCL, it was also aware of BCL's financial situation throughout, and knew or ought to have known that there was no reasonable prospect of it being able to pay the amounts due to Norilsk Nickel without support from the Government. It would appear that the Government of Botswana is in negotiations with potential investors about a possible sale of BCL. Norilsk Nickel reiterates its rights in relation to the Nkomati and Tati transactions and will continue to seek the repayment of the outstanding debts due to Norilsk Nickel by all legal means. In this regard, Norilsk Nickel expects its rights to be recognized by the Government in its negotiations and in any agreement ultimately reached in relation to BCL, failing which Norilsk Nickel reserves its rights, including to challenge any such agreement. Wiseguyreports.Com Publish New Market Research Report On-“Global Uranium Market 2017 Sales, Supply and Consumption Forecast to 2022”. 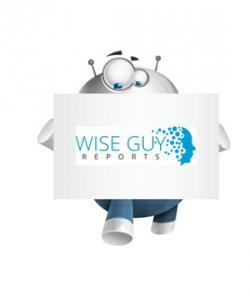 WiseGuyReports.Com Publish a New Market Research Report On – “Global Diatomaceous Earth Industry Share,Trends,Applications,Segmentation and Forecast to 2022”. Diatomite, also known as diatomaceous earth, is the naturally occurring fossilized remains of diatoms. The properties which make diatomite valuable include low density, high porosity, high surface area, abrasiveness, insulating properties, inertness, absorptive capacity, brightness, and high silica content. It is mainly used as filter aids, fillers, absorbents etc. This report focuses on the Diatomaceous Earth in Global market, especially in North America, Europe and Asia-Pacific, South America, Middle East and Africa. This report categorizes the market based on manufacturers, regions, type and application. There are 15 Chapters to deeply display the global Diatomaceous Earth market. Wiseguyreports.Com Publish New Market Research Report On-“Uranium Mining Market Growth 2017 Global Analysis, Share, Trends and Segmentation, Forecast to 2022”. VANCOUVER, BRITISH COLUMBIA, CANADA, April 27, 2017 /EINPresswire.com/ — Nexus Gold Corp. (“Nexus” or the “Company”) (NXS.V) announced that it has received a new work permit for its Bouboulou Gold concession located in Burkina Faso, West Africa. The new permit is for an initial term of three years, and can be renewed twice for a total term of nine years. “The new permit puts Nexus in a favourable position with respect to our developmental timeline at Bouboulou and Burkina Faso in general. With numerous complex mineralized zones, this ensures that the property can be effectively explored, developed and advanced in all areas,” said President and CEO, Peter Berdusco. “The new permit now gives us the opportunity to timeline the development of the Bouboulou project to its full potential. In combination with our Niangouela project, this is an important advancement for the company and brings us a step closer to becoming a significant exploration and development company in West Africa,” continued Mr. Berdusco. The Bouboulou exploration permit covers an area of 38.8 -sq km approximately 75 kilometres north-west of the capital Ouagadougou and is accessible by paved road. The Bouboulou permit is located on the Boromo-Goren greenstone belt and is bisected by the Sabce shear zone. This regional north-east trending structure hosts numerous artisanal workings along its 120- kilometre length and hosts the Bissa Hills deposit presently being mined by Norgold. Three 5km anomalous gold trends exist on the property along with numerous artisanal zones (orpaillages). Gold mineralization was first identified at Bouboulou by Boliden in 1997 where a regional Rotary Air Blast (RAB) drilling program outlined a broad north-east trending gold anomaly measuring 13km by 2km over what is now the Bouboulou permit. The concession was then explored by Riverstone Resources and Roxgold Inc. Highlights of these surface exploration programs include surface rock sampling and trenching that returned gold grades from 1.09 to 19.16 g/t. Four zones of gold mineralization have been identified on the property, termed Koala, Rawema, Bouboulou 2 and Pelgtanga. Roxgold later completed reverse circulation (RC) and diamond drilling (DD) to test the four mineralized zones. The Company has compiled historical data including airborne geophysics, Rotary Air Blast (RAB) drilling, geochemical sampling, reverse circulation drilling, diamond drilling and the location of orpaillages (zones of artisanal gold mining). The compiled data reviewed consists of over 7000 assays collected between 2011 and 2012. This data displays three strong coincidental geochemical and geophysical anomalous gold trends. These trends extend from the four drill-identified mineralized zones, namely Rawema, Pelgtanga, Bouboulou 2 and Koala. Each of the three trends extends in length for 5000 meters (5KM). They are identified by numerous orpaillages and geochemical samples of greater than 1 gram per tonne gold. All three of the Bouboulou trends identified are defined by similar coincidental anomalies. Each trend has substantial artisanal workings either directly on them or along the trend. Burkina Faso is a landlocked nation, located in West Africa. It covers an area of roughly 274,000 square kilometres and has an estimated population of more than 16 million people. The country has a stable political setting with a pro-mining and foreign investment stance. Burkina Faso is the fastest growing gold producer in Africa, and was the 4th largest gold producer in Africa in 2012. Eight new mines have been commissioned there over the past six years. The country has excellent geological potential. The Greenstone Belts that host all of the major deposits in Ghana and Cote d'Ivoire continue northward into Burkina Faso. Burkina Faso has undergone less than 15 years of modern mineral exploration, remaining under-explored in comparison to neighbouring Ghana and Mali; both of which host world-class gold mines in the same belts of Birimian rocks. Nexus Gold Corp. is a Vancouver-based gold exploration and development company operating in some of the world’s premier mining districts. The Company is currently concentrating its efforts on two gold projects located in Burkina Faso, West Africa. The Bouboulou gold concession is a 38-sq km advanced exploration target where previous drilling has confirmed multiple zones of gold mineralization. The Niangouela gold concession is a 178-sq km project featuring high grade gold occurring in and around a primary quartz vein 1km in length and associated shear zone. For more information on these projects, please visit the Company website at www.nexusgoldcorp.com. NEW YORK, NEW YORK, USA, April 27, 2017 /EINPresswire.com/ — The West Virginia Mesothelioma Victims Center says, "We are urging an individual in West Virginia who has just been diagnosed with mesothelioma or their family members to call us anytime at 800-714-0303 so we can help educate you about the nation's top mesothelioma attorneys and why it is vital to hire one to assist with your compensation. The West Virginia Mesothelioma Victims Center believes the biggest single mistake a person in West Virginia with mesothelioma can make is think their lawyer options are limited to local car accident attorneys. In reality-the nation's top mesothelioma attorneys will typically want to assist a person with mesothelioma in West Virginia. Frequently these same attorneys will make house calls–in other words they go to visit the diagnosed person in their home. Typically, after learning the specifics of how or where the person was exposed to asbestos the attorneys suggested by the Center will be able to tell the diagnosed person what they believe their mesothelioma compensation claim might be worth. 7.10 Idemitsu Kosan Co., Ltd.